This book traces one of the most energetic and dynamic episodes in the history of Islam, that follows immediately after the passing of the Prophet Muhammad (peace be upon him). It charts the course of Muslim history from 8-15AH / 629-637 CE when the great expansion into al-Sham (Syria, Palestine, Jordan and Lebanon) took place. 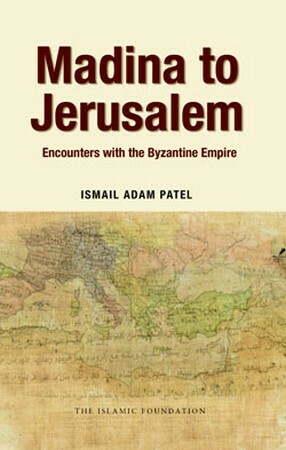 This book attempts not only to recount the military battles that led to the Muslims liberating Jerusalem from the Byzantines but also to understand the reasons why the Byzantine confederates of al-Sham abandoned their former masters for Islam. Ismail Patel attempts to address the Islamic expansion from a wider perspective with both Muslim and non-Muslim readers in mind. It will hopefully assist the non-Muslims to shake off the prejudices created by the Orientalists. This book provides a concise and accurate review of the history of the Islamic expansion in to Shaam . Great read especially to help answer the orientalists who accuse that Islam spread by the sword.